Social media, when done correctly, can become a rather cheap and powerful marketing vehicle for your business. 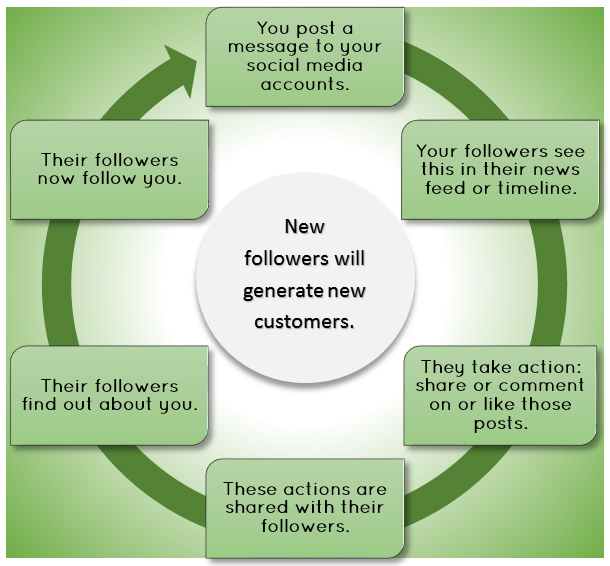 Followers beget followers – provided that you’re treating those followers well. I just completed this virtuous cycle diagram for a client, and present it to you here as a sidebar to our social media best practices series. Social media isn’t going away anytime soon. If you want to start reaching customers that you might not otherwise find, see more in our series on Social Media.